IDW and DC Comics team up to publish a five-issue miniseries starring the Dark Knight and Arkham’s newest patient: The Maxx. 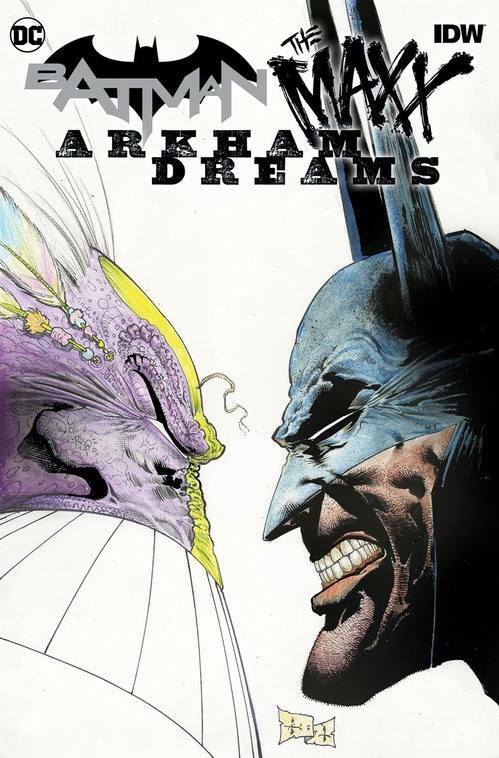 Sam Kieth’s The Maxx hasn’t been seen in about a decade, but that changes in September when IDW Publishing and DC Comics come together to present Batman/The Maxx: Arkham Dreams. The first issue of the five-issue miniseries, written and drawn by Kieth, will feature covers by Kieth and DC CCO/Publisher Jim Lee. While The Maxx appeared in his own series in the 1990s, he actually debuted in 1983. Comico Primer #5 featured Kieth’s first-ever comic story and introduced The Maxx to the world. The character would go on to fight Mr. Gone and Isz for 35 issues from at-the-time fledgling publisher Image Comics, and even had his own cartoon on MTV. In addition to The Maxx, Kieth also co-created The Sandman with Neil Gaiman, and has worked on several Batman projects — including Arkham Asylum: Madness.